Classic sokoban game for Chromecast, with more than 150 levels. Only one box can be pushed at a time, never pulled. 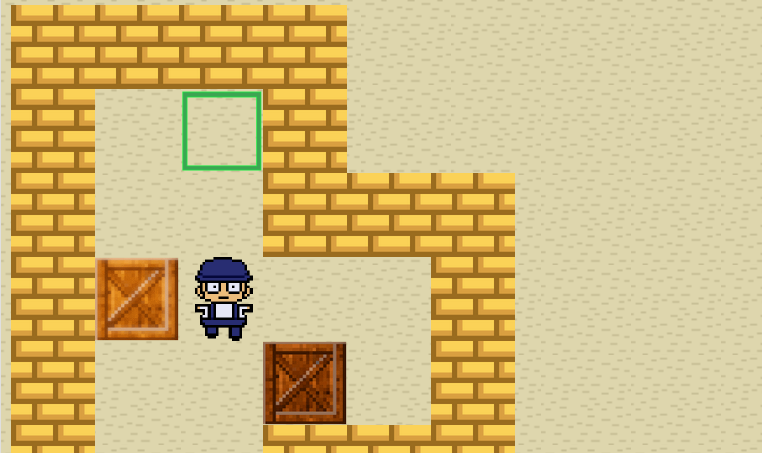 The player cannot walk through boxes or walls, so you have to be careful not to push them into a corner where you can’t get them out again. The puzzle is solved when all boxes are located at storage locations (blinking green square).